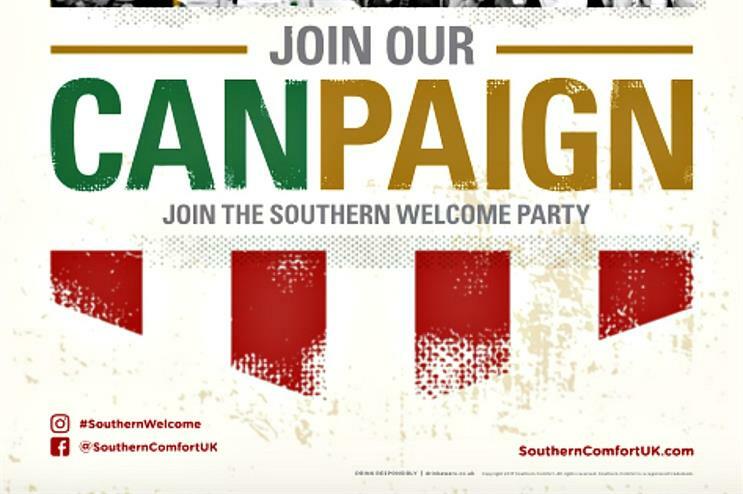 Whisky brand Southern Comfort is giving consumers a break from the General Election by inviting them to join the brand's 'Canpaign' UK tour. The roadshow is aiming to promote Southern Comfort's Lemonade and Lime ready-to-drink (RTD) offering, and features a branded 'Canpaign' bus. Launching in London today (7 June), the bus can be seen at key locations, including Westfield London on the day of the General Election (8 June), before moving to other UK cities such as Birmingham, Manchester and Reading. Southern Comfort's 'Welcome Band', as well as brand amabassadors, will be onboard the bus to offer guests samples of the RTD and share the brand's Canpaign Manifesto, which intends to encourage consumers to join the #SouthernWelcome party throughout summer. The campaign is also being enhanced by advertising on London's buses and underground, alongside further media placements in Time Out. Consumers are being encouraged to share their experience of the Canpaign bus using the #SouthernWelcome hashtag. Amanda Watkins, marketing director of Hi-Spirits, said: "With so much serious campaigning going on around the UK, we thought that consumers would enjoy our light-hearted alternative. The Southern Comfort Lemonade and Lime RTD is the perfect accompaniment to any summer party or gathering, and will help consumers enjoy the summer in true New Orleans style." Southern Comfort's Canpaign marks the second above-the-line campaign for the brand, since it moved to Hi-Spirits in the UK last year.